The quality of your food depends on the quality of the soil in which it is grown. Is organically produced food superior to conventionally grown food? How do earthworms and trace minerals benefit soil, and the food and feed grown on it? How do intentionally applied fertilizers, pesticides, and sludge, as well as inadvertent contaminants, affect soil? 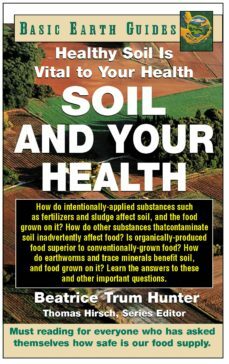 This book is important reading for understanding how quality soil relates to good health.